First explored in 1776 by Father Silverstre Velez de Escalante, a Jesuit Priest, Springville was originally settled in 1850 by eight pioneer families who crossed the plains to Salt Lake Valley from the East and were subsequently directed by Brigham Young to settle 50 miles further south. The city was incorporated in 1857 and was originally called Hobble Creek by the early pioneers because their horses were often hobbled (by loosely tying their front feet together) and left to graze along the stream in the lush grass. Later as the town grew, the name was changed to Springville because of the many freshwater springs in the area. Springville is known as “Art City” due to its strong development of the arts. 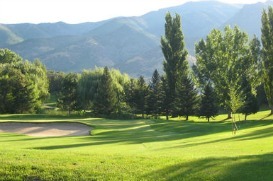 Springville continues to be a thriving community which has experienced steady growth over the last decade. The population is expected to double over the next two decades in line with the dynamic future expansion of its commercial, office, retail, and industrial sectors along the city’s I-15 corridor. Art City Days is held each June and is one of the first city celebrations of the summer season in Utah County. The citizens of Springville join in a variety of activities to celebrate their community and warmer weather. Activities include a parade, hot air balloons, contests, and sporting events. Springville is also home to the Springville World Folkfest, a week-long celebration of folk dance and music held every July at the outdoor amphitheater in the Spring Acres Arts Park. Each year folk dance groups travel from around the world to participate in this festival, which is held in late July. Every May, Springville hosts the annual Indian Festival of Utah also in Spring Acres Art Park, the state’s only cultural event devoted to East Indian, Pakistani and South Asian communities across the Salt Lake metropolitan area. To quote mayor Gene Mangrum, “Springville City represents the best aspects of the American Dream. We have the benefits people associate with “hometown” living, including neighbors that care about each other, minimal traffic, and a pristine natural setting. At the same time, we enjoy the amenities larger metropolitan areas, including outstanding city services, access to world-class education, great shopping and restaurants, and unrivaled recreational opportunities”. Springville is also home to major employers like WW Clyde and Company, Nestle Food (Stouffers) and Wing Enterprises (Little Giant Ladder). Contact us today to learn more about programs in Springville that can assist you with making a down payment on your new home. There are county and city grants available that can help you make your dream of owning a home in Springville a reality! The Red Sign Team has been helping people interested in buying or selling Springville real estate for years. Our experts are familiar with the market trends for Springville and Utah real estate in general. We are confident that we will be able to provide you with the friendly, knowledgeable, helpful and experienced real estate service that you deserve. Contact us today!